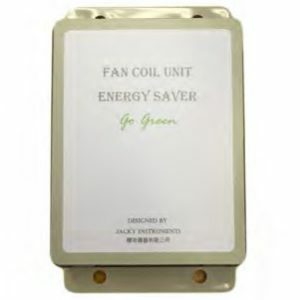 Fan Coil Unit (FCU) Energy Saver (ES) seamlessly optimizes energy use in conventional FCU. It effectively increases the motor efficiency during operation.The ES is compatible with existing Room thermostat. Thanks to the advancement of power semiconductor technology,the Intelligent Motor Control Engine (IMCE) precisely controls the electrical power-f low to the motor in a more efficient manner without sacrificing FCU air-flow volume. Reduces up to 42% of the motor power consumption in the Fan Coil Unit (FCU) at low speed operation, less energy is used to cool down the motor, leading to extra saving in chiller plant system. Offers “Ultra -Low” speed operation for Constant Air Treatment (CAT). It prevents odorization due to high humidity by maintain air circulation with minimal energy consumption. Lower operating temperature prolongs motor lifespan. No significant wiring modification required. Avoid replacement of existing AC motor in the FCU.